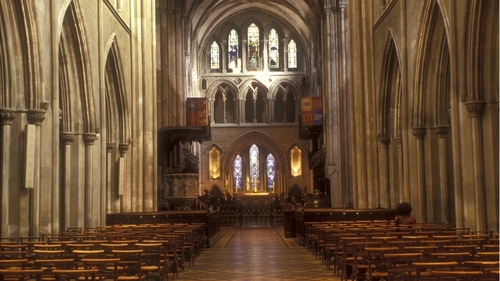 The new Dean of St Patrick's Cathedral in Dublin is to be Canon Victor Stacey. He was elected by twenty-four members of the Chapter of the Church of Ireland's national cathedral along with the Archbishop of Dublin. The 68-year-old Dean-elect is the rector of Dun Laoghaire and Provincial and Registrar of Dublin and Glendalough. He is a native of Bunclody in County Wexford. Canon Stacey will fill the vacancy created last month by the retirement of the outspoken Dean Robert MacCarthy. Unhappiness in the upper echelons of the Church with the outgoing Dean's thirteen-year record was hinted at in Archbishop Alan Harper's statement welcoming the Canon Stacey's election. The Primate of All Ireland said many in the Church would welcome it if the new Dean was "judicious" in his use of opportunities to contribute to public debate. In 2002, Dean MacCarthy won little public support from his Church's leadership when he boycotted a state reception for Cardinal Desmond Connell because the invitation was issued in the names of the then-Taoiseach, Bertie Ahern and his partner at the time, Celia Ahern. Late last year, he clashed with some members of the Cathedral Chapter and Board when he asked all candidates in the Presidential election to support his idea that St Patrick's become "a national cathedral not merely for the Church of Ireland but for all Irish Christians". Board member Alan Graham responded that Dean McCarthy "consulted neither the Chapter nor the Board" before making the proposal and concluded: "It is generally felt, both in the cathedral community and the Church of Ireland, that the sooner he resigns the better." Responding, the outgoing Dean told the Irish Times that some members of the Chapter and Board had failed to support him during his term and that "they could find someone else to carry on". Dean MacCarthy has consistently called for St Patrick's to be made available for the regular celebration of Mass and to be opened up to other Christian denominations. He said a modest start had been made with the election to the Chapter in 2007 of Roman Catholic Fr Enda McDonagh and the former Moderator of the Presbyterian Church in Ireland, the Rev Ken Newell. Fr McDonagh became the first member of his church to enter the Chapter since the Reformation. In his message of welcome to Canon Stacey, Archbishop Michael Jackson said the co-operation of Cathedral Chapter, Board and Dean "is essential to the next phase of the life of St Patrick's". It is not yet known when the Dean-elect will be installed.